Mozart is arguably Salzburg's most famous former resident, and as such there are many attractions in the city with Mozart as their main theme. This museum is one of Salzburg's oldest. It opened in 1880, sponsored by the International Mozart Foundation. 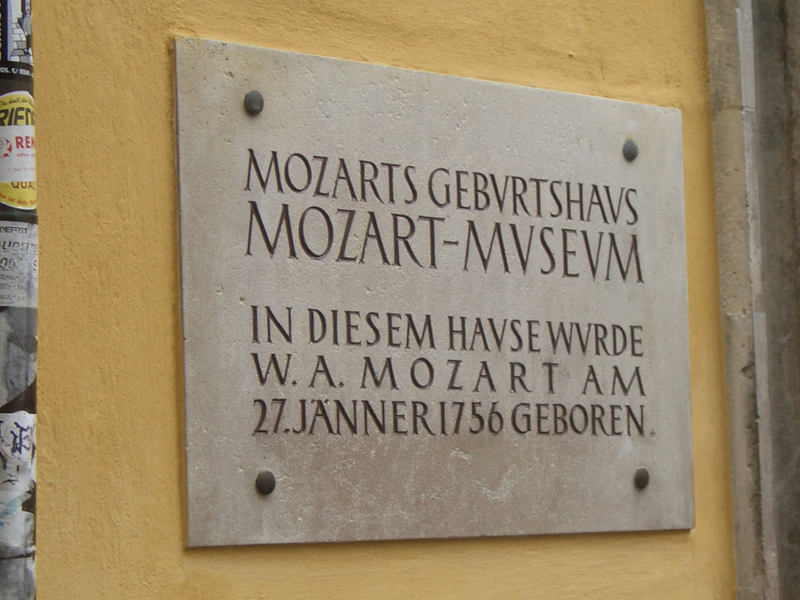 Mozart's Birthplace is also one of the most popular attractions relating to Mozart. 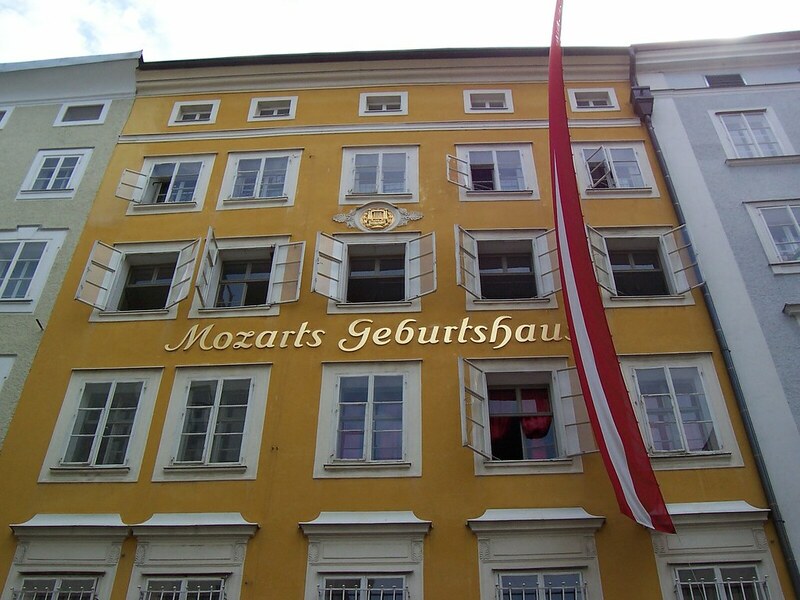 Located on Getreidegasse, Salzburg's most famous shopping street, is the apartment where Mozart was born, along with his six brothers and sisters, only one of which survived childhood. In total, the Mozart family lived in this small apartment for 26 years. Today, his old apartment has been transformed into a museum detailing his life. The museum is set out on three floors and displays collections relating to Mozart such as original instruments played by the man himself and also exhibits detailing Salzburg in the time of Mozart. 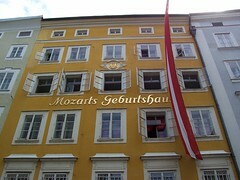 As mentioned before, Mozart's Birthplace museum is located on Getreidegasse directly in the center of Salzburg. Entry to this attraction is free with the Salzburg Card. As you walk from the river up to the main shopping street, you can see this brightly coloured building right in front of you. Everything in Salzburg seems to be about Mozart (probably more for the tourists than anything else), but we had the Salzburg Card so we thought we'd have a look. The exhibition is interesting, but we're not really music fans, so we didn't spend too long here. Have you already visited the Mozart's Birthplace? If so, let everyone know what you thought about it by writing a review! No registration necessary. Just click here to start writing! 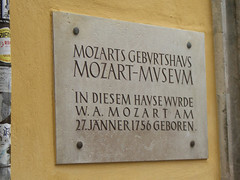 View all Mozart's Birthplace Pictures.